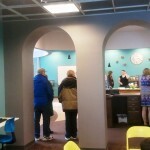 After years of planning and months of destruction, dust and reconstruction, the Bridgeport Public Library is finished with their long awaited and much anticipated renovation project. 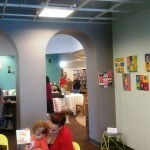 The Bridgeport Public Library held they’re open house on Saturday, February 1st. from 2:00 pm to 4:00 pm. 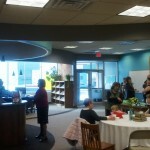 Library staff members, Tammy Covalt, Lori Leonard and Meadow Todd were on hand to welcome visitors anxious to see everything that is new, things that have changed or been updated and more than likely moved around. 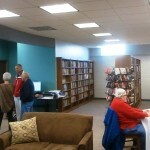 The Bridgeport PL Friends group were also on hand to show off the town’s beautiful new library. Below are some pictures taken at the event. 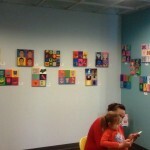 The Bridgeport Public Library welcomes everyone, local residents and visitors alike. Being a public source for the internet, the library staff also welcomes the many out-of-state/out-of-country travelers visiting our facility or our website. 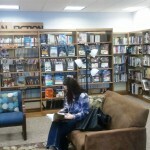 The Bridgeport Public Library offers numerous public services and borrowing privileges of the library’s collection. 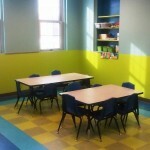 Books, magazines, cassettes, and CD loan periods are 2 weeks. Current magazines loan periods are 1 week only. 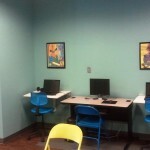 Video/ DVD loan periods are 3 days only. Renewals or requests can be called in by telephone or by going to our online catalog page. Get your username and password from the library @262-0326. Reference material cannot be checked out. 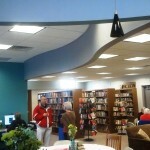 The Bridgeport Public Library is accredited through the Nebraska Library Commission, a member of the Panhandle Library System, the Panhandle Library Consortium, the American Library Association, and the Nebraska Library Association. 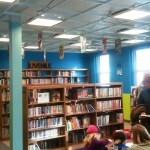 Along with preserving the history of our local community, The Bridgeport Public Library aspires to provide quality assistance and services so that all patrons, of all ages, remain informed, knowledgeable and entertained in a comfortable and relaxed atmosphere, providing the environment and incentive necessary to foster a life-long love of reading. 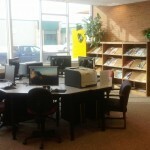 When any items overdue are walked in to library on any Friday during regular business hours, over due fees are waived. (Does not apply to new releases).